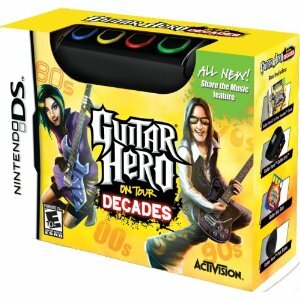 Amazon: Guitar Hero on Tour Decades Bundle for DS only $6.24! Right now you can get Guitar Hero Decades bundle for DS for only $6.24. Do you have a video game fan at home? I do! And I am sure he’ll be so happy with this! Choosing a diaper bag can be tricky, there are a lot of things to consider; style, weight, space and price are some of the most important features to me. I wasn’t very familiar with Vera Bradley but let me tell you I’ve become a huge fan! And once you’ve had one I don’t see how someone wouldn’t be. My sister has been a huge fan forever and honestly I didn’t really see why, with my first two kids I carried big heavy but stylish diaper bags and we shared a love and hate relationship. They were bulky and heavy, they looked great with even without much inside the weigh was insane, not to mention they weren’t child friendly, I was always so scared something would spill or I couldn’t just put it on the ground for a rest. Weight: it is light weight without sacrificing space, trust me I stuff it like crazy and it has become a magic bag! 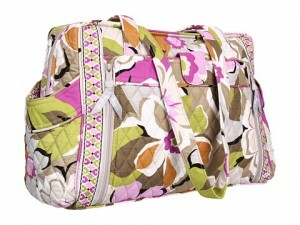 Style: I love the floral and colorful patterns and there’s so many colors to choose from! It has long awesome straps so you can hang it on the stroller or chairs without having to worry it would fall. Price: It is very reasonably priced compare to the designer ones I had before, at around $100, there’s no other bag out there that offers as much as this one does. Extras: It’s machine washable, yes………..you read that right! Do I need to continue? That should have sold it The bag is 16 inches long by 12″ wide and 5″ deep. It has a large main pocket that has a zipper, inside there’s six smaller pockets on the side perfect for medicines, pacifiers, ointments and lots more. On the outside, there’s a large pocket on each side, one with a zipper closure and one with a magnetic flap which also has a changing pad. There are also two small pockets on the ends, one on each side for sippy cups, bottles, phones and much more. Space: This diaper bag has plenty of space to fit tons of things that you’ll need when traveling with your little one. The bag is 16 inches long by 12 inches wide and five inches deep. It has a large main pocket that has a zip closure, and inside there are about six smaller pockets on the side perfect for storing things like pacifiers, Tylenol, travel shampoo and other toiletries for baby. I usually keep a travel-sized lotion for myself, a snack and some tissues. On the outside, there is a large pocket on each side, one with a zipper closure and one with a magnetic flap. There are also small pockets on the ends – one on each side. I usually put a sippy cup for him in one of these pockets. ***Disclosure: I did receive this product and/or compensation. Neither influenced my opinions, the review is based on my own opinions. Do you have a little one that’s afraid of the dark? I sure do and we have the Constellation Night Light Turtle and it really helps him! He turns it on when he goes to sleep and if he wakes up in the middle of the night. 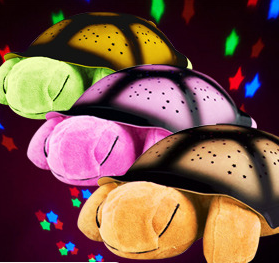 Right now you can get this cute Turtle for just $13.00 (reg. $39.99) + $2 shipping! I’m a huge fan and they last a really long time! Also you get a $10 credit after your first purchase so it is like paying only $5 for it!!! That’s an awesome deal!!!! 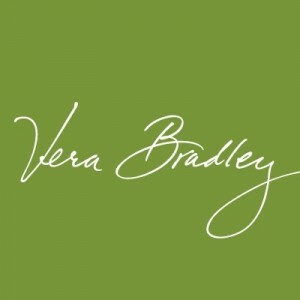 Pier 1 Imports: $10 off a $50 Purchase Coupon! 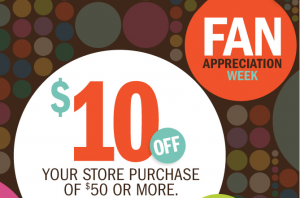 It’s fan appreciation week over at Pier 1 Imports! That means you can score a coupon for $10 off a $50 or more purchase! This is valid 8/13 – 8/19! I bet I could put this coupon to use…I love that store! Pantene is one of my absolute favorite shampoos. Get ready for the Pantene Million Fan Giveaway. Once Pantene hits 1 million Facebook fans, they are going to have a giveaway like no other. You could win up to a YEAR supply of great Pantene products. They have almost 990,000 fans right now, so make sure that you “like” their Facebook page. That way you are ready once the million fan giveaway goes live! If you’re a fan of yogurt then I have a great high value coupon for you! 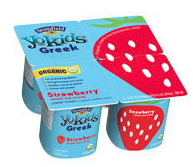 You can print a new coupon for $1.10 off ONE 4-pack of Stonyfield YoKids Greek Organic Yogurt (you will need to “like” them on Facebook to get the value higher). This should make for some inexpensive yogurt and seems to be very high value so hurry over to print. 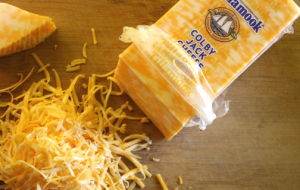 Rare New $1/1 Tillamook Cheese Coupon = Only $1.78! If you have a cheese fan in your life, then you can print this coupon for $1/1 Tillamook Cheese (under zip 75034) then take it to Walmart to score a great deal! 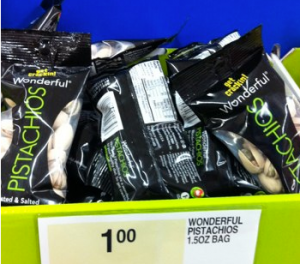 Staples: FREE Wonderful Pistachios Bag! If you’re a fan of Wonderful Pistachios you may want to head over to Staples where you can score 1.5 oz bags for just $1.00. Plus, use the $1/1 Wonderful Pistachios coupon (no size restrictions) to get them for FREE! These were found in the Dollar section in the middle of the store. Expired:FREE Softlips Gloss (4pm EST) First 10,000! 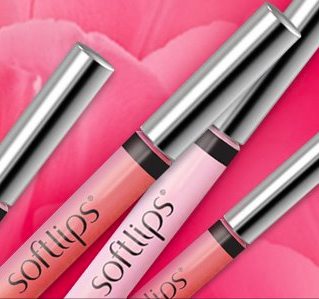 Softlips is having an awesome freebie starting at 3pm CST today on their Facebook page. It will be for the first 10,000 so you’ll want to act fast. I really like this!! It looks so cool! Go HERE to request a little fan you plug into your USB port on your computer. We can certainly use as all the cooling we can here in Texas!! !